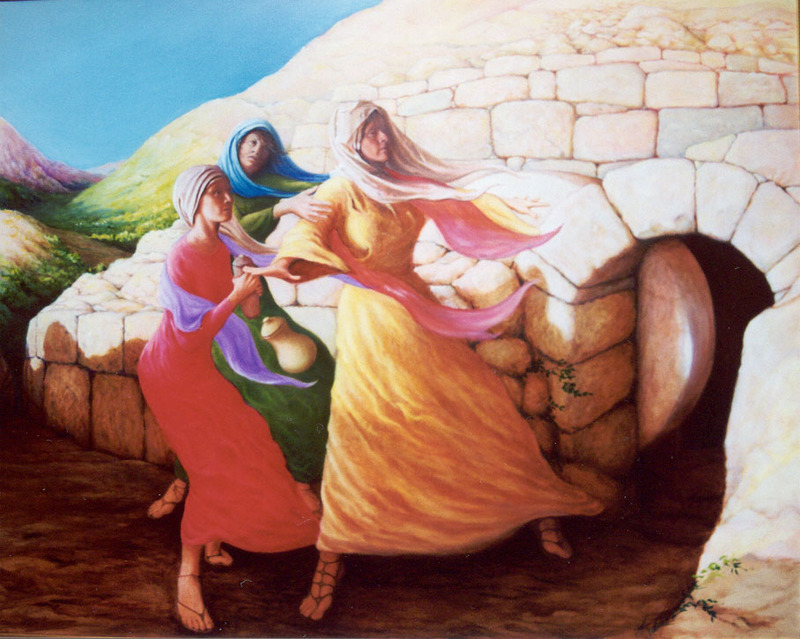 In the story of raising Lazarus, Jesus doesn’t respond to the sisters’ indirect request to heal Lazarus and allows him to die because he has a plan to use this as an occasion to do a great miracle in order to bring glory to God, himself and to increase the faith of his disciples and other eyewitnesses. This could appear as unloving of Jesus. Is he using his dear friends, Mary, Martha and Lazarus, whom he loves, as a means to his own ends? Surely he knows how much Mary and Martha will suffer as a result of his failure to respond to their request? Here’s a very brief summary of a part of her interpretation of the story. Even though Jesus believes that his failure to respond immediately to the sisters’ message will cause them great suffering, he counts on their trust in him; “he’s relying on them as his more advanced followers, as his closer friends” to maintain their trust in him and his love for them, to have the kind of faith in him “as Abraham had in God when he became the father of faith;” that he will not betray them and will give them the desires of their hearts. So not only is it not the case that Jesus is using them for his private ends, but in his love for them he wants to give them a great gift - glory. Juliet – excellent post and observations! Mary, Martha and Lazarus really did have a more intimate relationship with Jesus, one that would allow Him to unfold His plan in a less direct manner. I think it shows when Martha says in John 11:22, “But even now I know that God will give You whatever You ask of Him.” She had a depth of knowledge of and confidence in Him that kept her trusting, in spite of what had just happened with Lazarus. Blessings, Eric P.S. I agree with you about Sophie Scholl – what a courageous young woman. Thank you, Eric, for taking the time to comment and for your input. I agree, John 11:22 shows us that this is a special, more intimate friendship. I think it’s beautiful because it highlights Christ’s humanity. It is funny how Mary, the friend of Jesus, tsiser of Lazarus, would think that Jesus was limited by death and in a way by time and sapace. Sometimes I forget that God, (Jesus) Is in control of that regartles of mi situation. I love your blog. Thank you, Mary, for reading and commenting. I think when we read about the disciples of Jesus, even those who seemed to be constantly with him, witnessing all the miracles, even for them (I think understandably) it was hard to fully comprehend who Jesus was (and his power). As you point out, we can all sympathize with Mary.